Welcome to our Home for the Holidays Blog Hop! I am lucky number seven in the hop and I can’t wait to show you what I have come up with for you, the previous girls are a tough act to follow… Christmas has become my most favorite part of the year. I think mostly because all of our traveling has come to an end and I can actually take a day here and there for myself and my family and not feel guilty about it…I love to decorate our home for Christmas. Right after the last person leaves after Thanksgiving dinner, I pull out all the big red/green bins and start transforming the house. I have already bought the tree for this year…it is standing in the garage just waiting and begging to come in…but Thanksgiving first, please…After the house is decorated, I start making the holiday treats…not right away but a few days later….I always send my favorite peanut clusters to all my friends…peanuts and dark chocolate…a girl can’t go wrong…I also make many batches of Irish Cream Whiskey to give away…I say many because, they sometimes do not make it and we have to start over…they just vanish….Last year I found some pretty red bottles to put it in…I got most of them back with a note…please refill for next season…remember it is cold here in WI…..I make lots of different cookies for the holidays, but I have grown very fond of my Soft & Chewy Ginger Cookies…here is recipe…also the house smells so good while making these.. It was hard to pick a project to share with you but after thinking awhile I came up with a cool cookie jar wrap to show off all these holiday cookies we are making! It didn’t take long for those cookies to disappear, did it? This is a simple wool “wrap” for your cookie jar. The jar can be purchased for $5 at Wal-Mart. Click the link here for the directions. Cookie Jar Wrap Directions I hope you can use this to proudly show off your wonderful cookies you exchange or make to give-a-way. All the cookies so far have been wonderful! I have been printing the recipes and projects and can’t wait to see what is next! 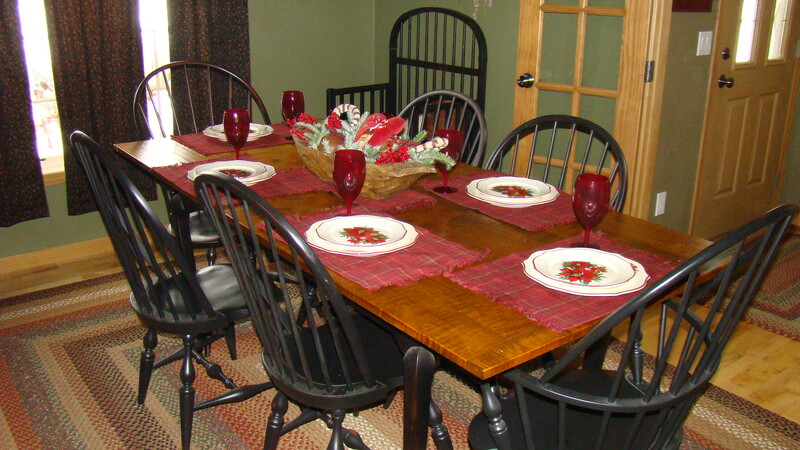 Here is few more holiday photos from the Bongean House….Thanks Stacy! for putting this all together you have such wonderful ideas everyone is loving it! 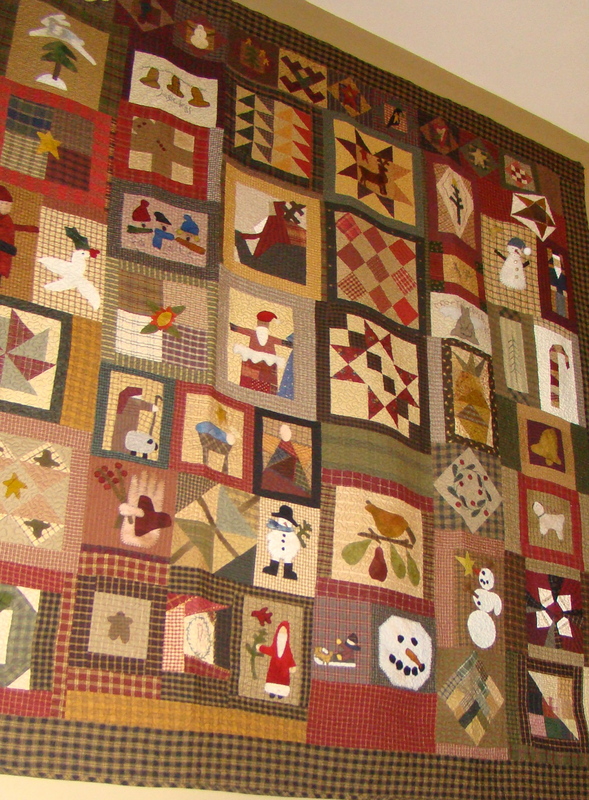 Every year the shop girls make me a quilt….this is last years… Scrappy & Christmas! Thanks Lisa it awesome !!!! Cookies look amazing! Yummy!! Thanks for sharing. Love the the project! Not sure if I could give it away! Oh I love the project and I know who I am making it for right now. She takes care of my dog for me when I have to go away for the day. She loves wool projects and this is just way to cool. Love it and the cookies recipe. Thanks so much for sharing. Thank-you Lisa for this pattern!! I am sitting here looking at a jar, I’ve had it for several years and now will make the wrap to “jazz” it up!! Can’t wait to try the recipe.you know you girls have spoiled us, we are going to expect this every year!! LOL!! The wool wrap is so cute! Thank you for the pattern. Thanks for the yummy recipe and pattern. 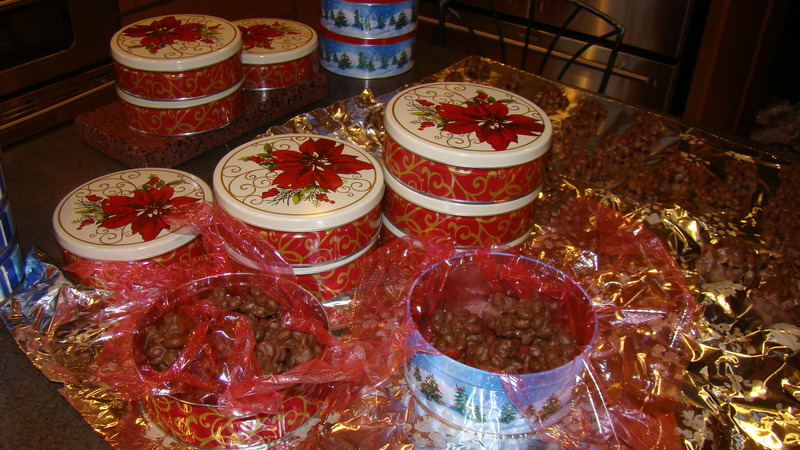 It is so nice to make a treat to give away and have something special to put it in. I love the red bottles you found. Thanks for sharing.Can’t wait to get my Christmas things out. But first spending Thanksgiving with family that I don’t see very often. How wonderful. Thanks so much for sharing your life and your inspirations. I look forward to following your days and definitely want to know the vitamins you take! I’m now in three of your BOM’s and have completed or own countless kits. Your creativity makes my heart sing! Thank you for the cookie recipe and the cookie jar wrap pattern. I’m excited to finally have my “home” blogger have her turn! You did great! Thank you for participating in the blog hop. This is so much fun!! Lisa – I have been waiting for your design, and the wait has been well worth it! Such a cute design. I have my wool ready to start stitching. Thank you for the great project and the scrumptious looking cookie recipe! 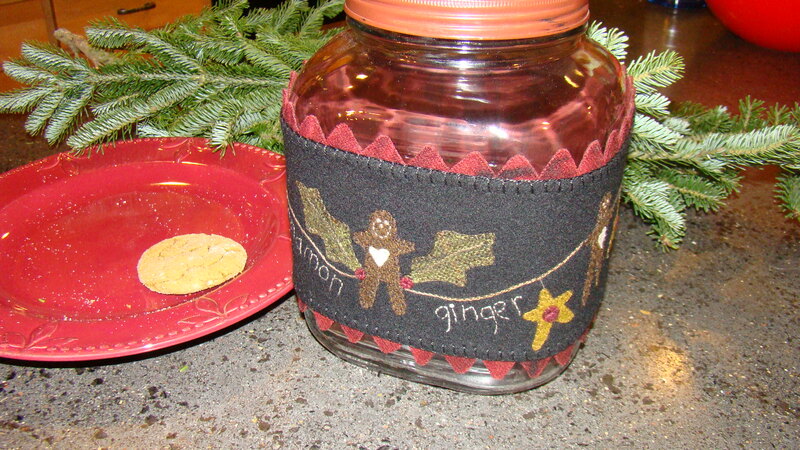 Thanks for the adorable cookie jar wrap and the recipe. 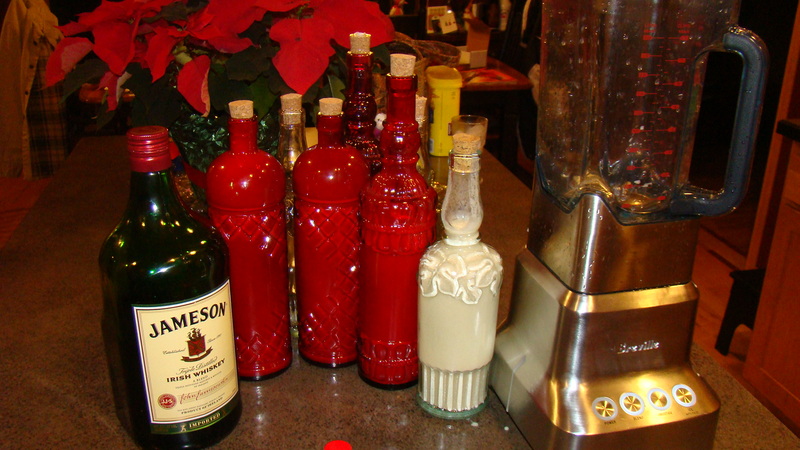 Now I am salivating at the sight of the Irish Cream Whiskey and I’m also wondering about the nut clusters!!! Oh I love your project! I can’t wait to make one! How cute of an idea is this! Thank you so much! 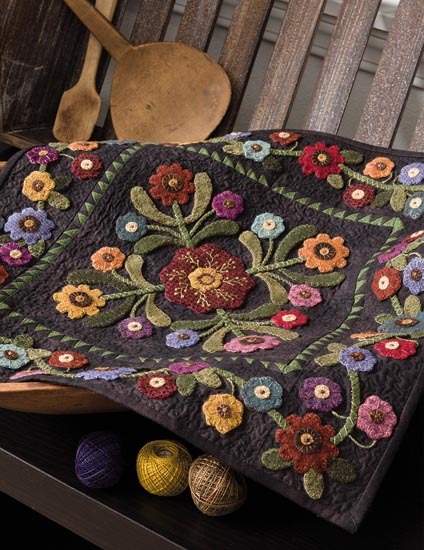 I love the Christmas quilt in your post…can you share where the pattern can be found? Thanks! Enjoy your Thanksgiving Day. What a cute project! Thanks for sharing. 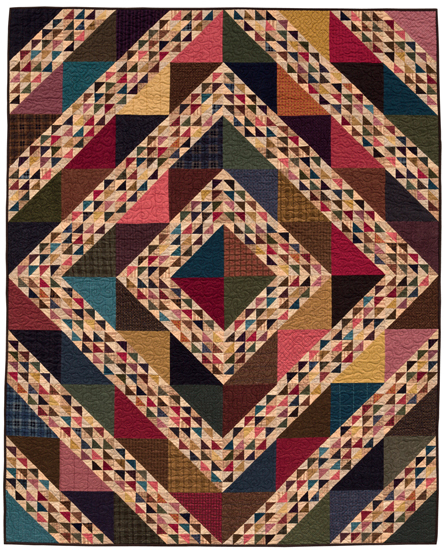 I also looked at your pinwheel quilt – I made one just like it (only a little larger) this week. It was fun! Have a wonderful Thanksgiving. Great project can’t wait to make it, perfect to go with the cookies. Thank you for sharing! Thank you for participating in the holiday blog hop. Your cookie jar wrap pattern is great and the cookies look good, too. This is too much fun! Thanks for the great pattern and cookie recipe. Love the pictures. 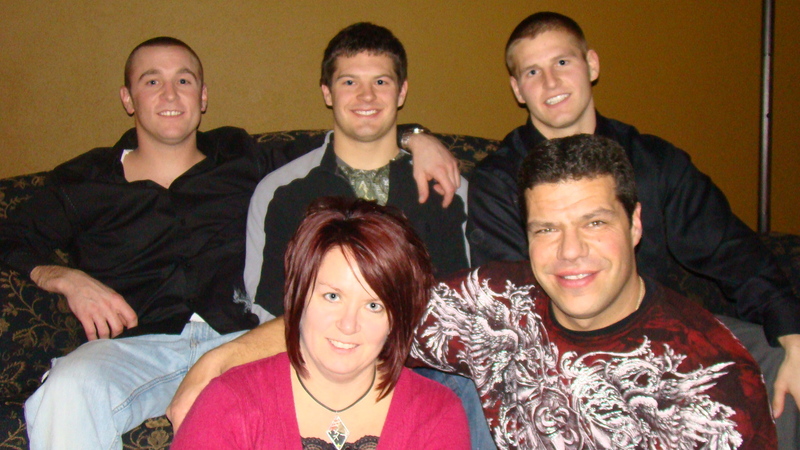 I have two boys and it’s always fun to see a house full of guys in a picture…makes me feel right at home! Yum one of my favorite cookies – sometimes I put a little powder sugar frosting on them, but plain is my favorite. Your project is such a cute idea and would be so much fun to have on the counter – hmmmm maybe you could come up with a few other designs for other holidays :). You always come up with such great ideas. 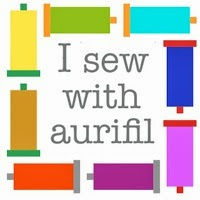 Thanks for sharing – this blog hop has been so much fun. Great project, Lisa! 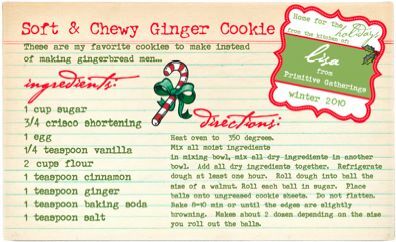 I am making ginger cookies for our Grand ReOpening this weekend at the shop- these will be perfect! Darling cookie jar wrap, too. What a clever idea!! Thanks too for the wonderful pics of your home and family- handsome boys and a cute gal to run herd on them!!! oh the wrap for the cookie jar is adorable! LOVE< LOVE< LOVE that quilt, bet it was a lot of fun to make. Love your designs. Thank you sooo much for sharing your cookie jar wrap!! And Judy called and was grateful I was the right Elizabeth A. Am anxious to put that little quilt together. no wonder you are so proud of them. Man cave indeed!!!! Not to worry, it is the same here. Really I understand these days, just wished I lived closer, I am missing so much stuff, it seems. We will talk later……. Am really enjoying the holiday blog hop. Can’t wait to make the jar wrap. 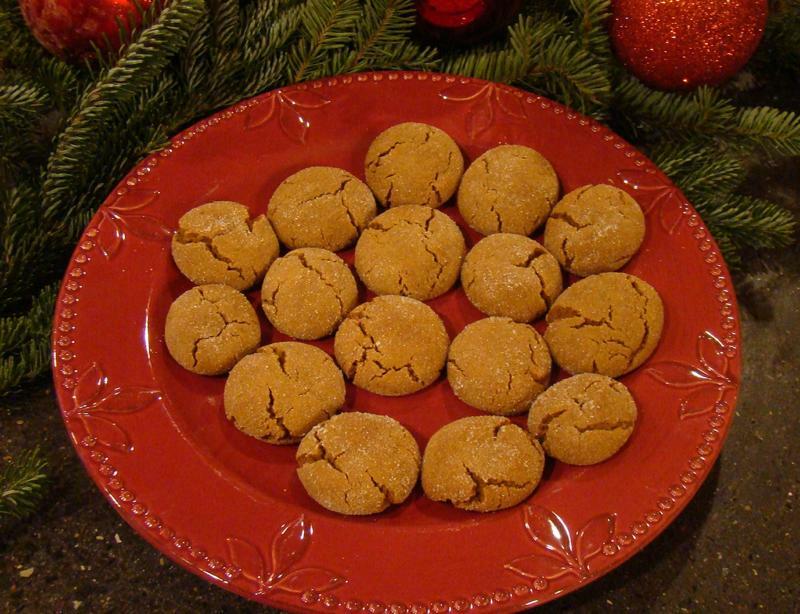 As for the gingersnap cookies they are my family’s favorite. I dip 1/2 of the cookie in melted vanilla chips and shortening. I’ve already made 9 batches. My daughter is stationed in Korea and I have sent a box of these to her to share. I vacuum pack them in my seal-a-meal and they have arrived tasting fresh out of the oven. Love you blog site. It is my favorite. Love your jar wrap! 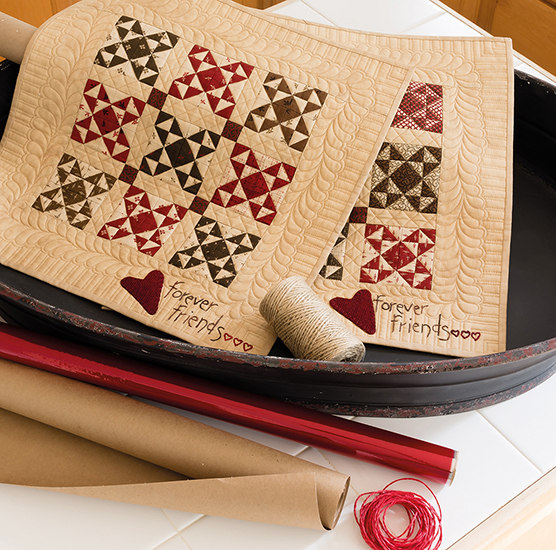 What a beautiful keepsake gift this will make! Thank you for sharing your pattern and recipe with us! Can’t wait to try the cookie recipe, they look good enough to eat, LOL. Happy Thanksgiving to you and your family! Wonderful cookie recipe and your jar wrap is going to be so fun to make. 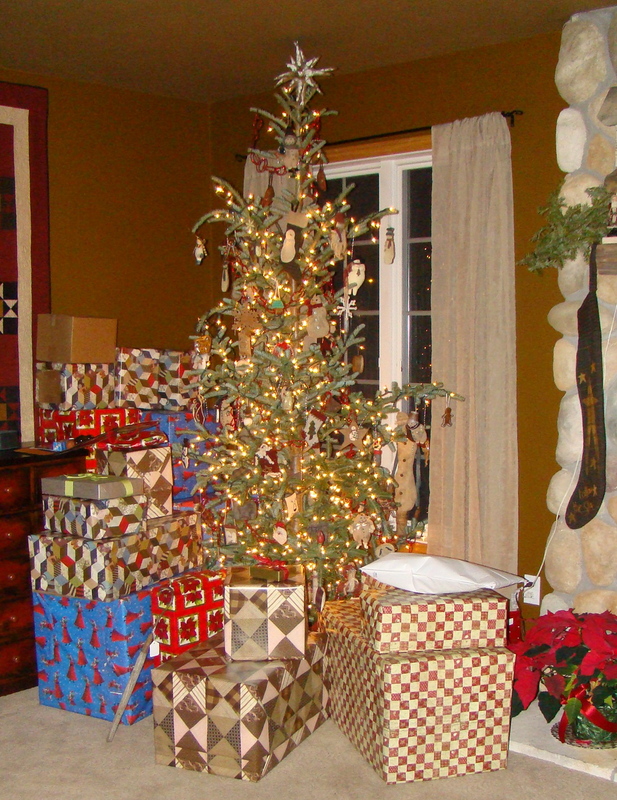 Thank you for taking time to share your home and holiday traditions. It is all so charming. Recipe sounds delicious, and I love your project for the cookie jar wrap. Thank you for sharing. Hope you have a wonderful holiday.